The gentle warmth of early spring is softly waking up all living things out of long and calm winter sleep. Anywhere I go, the faint but distinct aroma of elegant Ume flowers is floating on a breath of air to convice me of the arrival of this new spring. 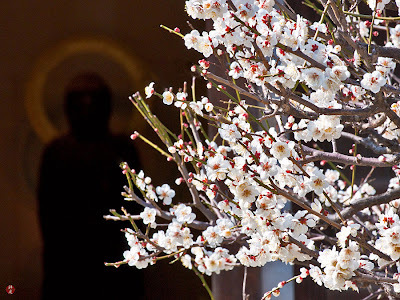 The old wooden image of Amitabha Buddha seems to be fondly watching the white flowers of Ume blooming splendidly in an ecstasy of joy. In Buddhistic culture, flowers symbolize the infinite mercy and compassion of Buddha. 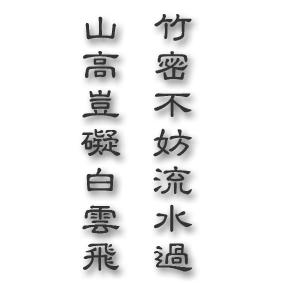 Amitabha is the Buddha of infinite light and infinite life who presides over the Pure Land.